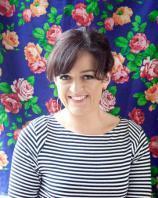 Maeve Higgins is a contributing writer for The New York Times and the host of the hit podcast "Maeve in America: Immigration IRL." She is a comedian who has performed all over the world, including in her native Ireland, Edinburgh, Melbourne and Erbil. Now based in New York, she cohosts Neil deGrasse Tyson’s "StarTalk," both the podcast and the TV show on National Geographic, and has also appeared on Comedy Central’s "Inside Amy Schumer" and on WNYC’s "2 Dope Queens." Maeve Higgins was a bestselling memoirist and comedian in her native Ireland when, at the grand old age of 31, she left the only home she’d ever known in search of something more. Like many women in their early 30s, she both was and was not the adult she wanted to be. At once smart, curious and humane, MAEVE IN AMERICA is the story of how Maeve found herself --- literally and figuratively --- in New York City.